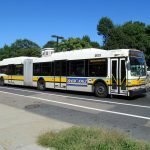 Last week, Commonwealth Magazine reported that the MBTA is planning to find a way to end their contract with Global Contact Services — a private contractor hired to manage operations of the MBTA’s paratransit service The Ride in 2016. The contractor, who promised to save the T approximately $12 million annually, was tasked with merging three existing call centers into one more efficient model. The first two centers were merged earlier this year with the third scheduled to be consolidated on July 1. However, the merge was postponed to October 1 and then to November 1 due to ongoing issues surrounding The Ride’s call centers and services. Commonwealth reported that the MBTA also brought in an outside consulting firm to weigh in on Global Contact Services performance, which resulted in the contractor receiving low scores across the board. 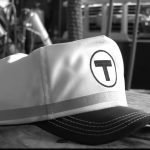 According to the article, “sources say the T has decided to move on,” but is being cautious since they need Global to continue operating The Ride until a new vendor is awarded the contract.